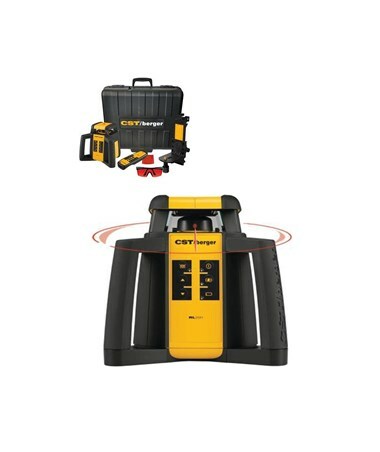 With a range of up to 200 feet without a laser receiver and 2,000 feet with a laser detector, the CST/Berger RL25 Series Self-Leveling Rotary Laser delivers professional performance at an affordable price. 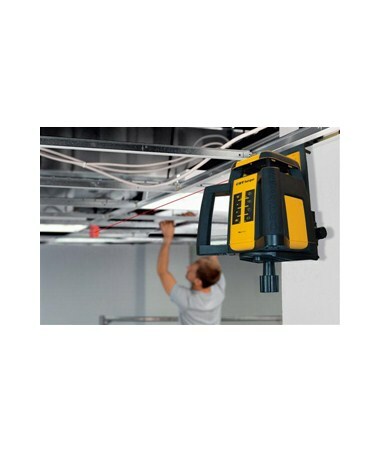 The RL25HV is ideal for exterior and interior general construction and aligning jobs such as grading, site prep, elevation transfer, drop ceilings, electrical installation and other alignment jobs. 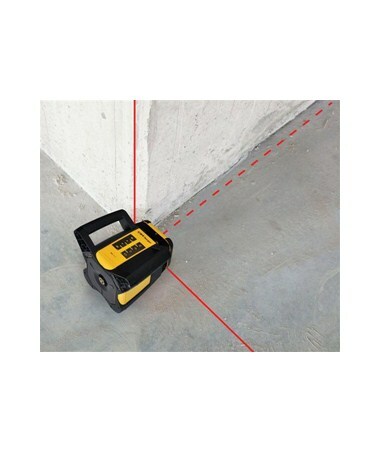 This rotary laser is self-leveling within ±5 degrees and has an accuracy of ±3/32-inch at 100 feet. 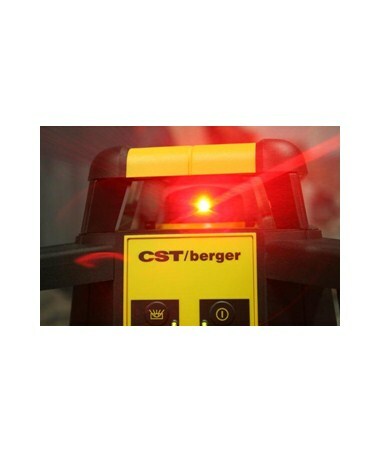 The CST/Berger self-leveling rotary laser provides rotational speeds of 0, 150, 300 and 600 rotations per minute. Also, it offers three variable scan angles of 10, 25 and 50 degrees. 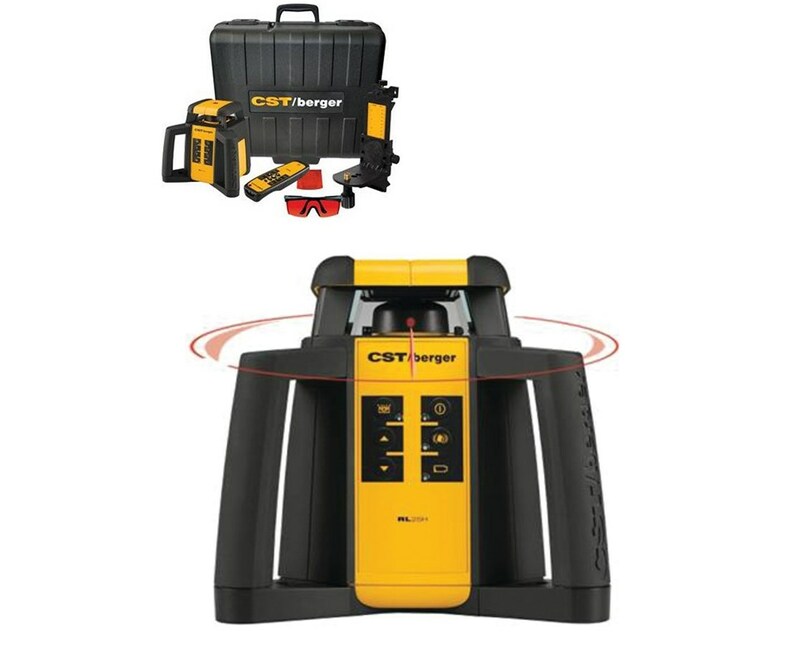 This CST/Berger rotary laser comes with a single axis slope control and optional vertical beam that makes doing layouts for 90-degree corners and plumb applications easier and hassle-free. For a visible laser, it includes a Class 3R, 630-nanometer red laser that is ideal for outdoor use. The CST/Berger RL25HV is dustproof and water resistant with its IP56 environmental rating. Also, it features a durable housing design that comes with a thick over-mold in key impact areas. It features an anti-drift system alert which guarantees that level is kept by warning the user of any position changes. This rotary laser uses three D-cell batteries and operates up to 85 hours for horizontal only and up to 55 hours for horizontal and vertical leveling. As an extra feature, it has a 5/8-11 tripod thread that makes it easier to attach to a tripod. 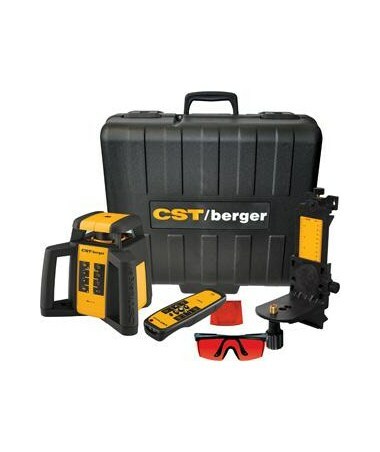 The CST/Berger RL25HV Self-Leveling Rotary Laser offers four packages that suit your needs. Please select your preference from the drop-down menu above.